Federal employees will have an extra month to donate to charities through the government-sponsored annual giving drive, the Office of Personnel Management has announced. Elaine Kaplan, OPM’s acting director, said in a letter to local leaders of the Combined Federal Campaign that the government shutdown necessitated the extension. The solicitation period in which charities pitch their causes and federal employees decide whether to donate was scheduled to end Dec. 15, but Kaplan pushed that date back to Jan. 15. During the solicitation period, which opened Sept. 1, charities often attend events held at agency offices across the country to promote their organizations and CFC officials -- both local organizers and agency employee volunteers -- educate the federal workforce about the program. During the shutdown, however, many agencies sent home the vast majority of their workforces, making CFC efforts nearly impossible. Even agencies that retained a more significant portion of their workforces canceled CFC events. Kaplan noted many federal employees faced financial hardship during the shutdown, as they were uncertain if or when they would receive pay. Despite the government’s reopening, feds still face anxiety about the future of their pay and benefits. 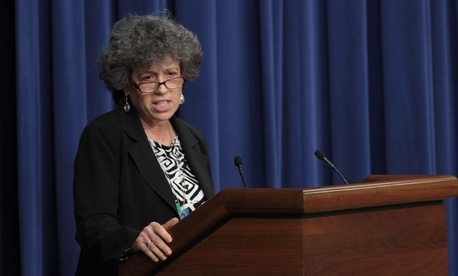 Still, the head of OPM -- which oversees CFC -- called on the federal workforce to continue giving. CFC has seen three consecutive years of declining donations. In 2012, 848,000 federal employees donated $258 million to the CFC, down from the 959,000 feds who gave $272 million in 2011. The 2012 haul was the lowest total since 2004.